We have recently introduced Yoga Philosophy into our weekly classes and workshops. The main point of introducing the theory into our Yoga Practice is to help you understand that Yoga is not just what you do on the mat, it is a much broader notion. I would also like you to learn a little bit more about the main pillars Yoga is based on and to be able to make your practice more mindful. In the last 2 weeks we have been talking about 8 Limbs of Yoga. This term comes from a book Yoga Sutras of Patanjali. Each limb serves as a guidance of how to live a more disciplined, more mindful life. You can picture it as a tree with 8 big branches and smaller branches coming out of the big ones. According to Patanjali, you can become one with the higher self, reach the enlightenment or simply liberation, when following this eight-fold path. These principals serve as a guide for living a purposeful, meaningful life. The principals are all described from external to internal. The first four serve as a foundation fir the last 4 limbs. You do not need to learn them all by heart. Understanding how they work is the most important thing. – Svādhyāya– self-study, self-reflection ; Isvarapranidhana – surrender to a high power ( make choices that are good for all). 3. 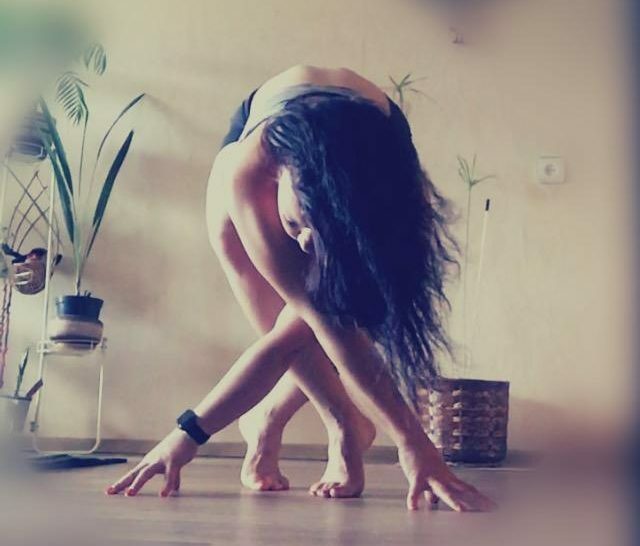 ASANA – physical practice. Here the term asana refers to being able to sit comfortably for meditation. 4. PRANAYAMA – breath work, breathing techniques. 5. PRATYAHARA– withdrawal. It is the withdrawal of ourselves from any external noise so that we can be present and mindful of the sounds within. We can practice it by taking a break from the media, or choosing to only concentrate on sounds in Shavasana. It is there to teach us to withdraw from the outside noise, draw the energy in and concentrate on pranayama and on the yoga practice with no distractions from the outside world. 6. DHARANA – is about concentrating on a single point. It can be something internal or external. It teaches us to quieten the mind. It can be a candle gazing practice for example or breath awareness. This is the stage most of us are at when we think we are meditating, especially at the beginning of a yoga practice. 7. DHYANA- concentration and meditation on a single fixed point. It takes time and practice. We need to learn to train our mind to empty itself from all the thoughts and then to come back to you. This is a long process and once it is perfected it leads to the 8th limb of Yoga – Samadhi. 8. SAMADHI – reaching the ultimate goal of yoga and becoming one with the higher self, reaching the enlightenment. This is the stage where we can view our life as being not conditioned by the believes of others, likes or dislikes, no judgement or attachment. In a nutshell, it all comes down to be a ‘good’ person with pure intentions following the basic ethical and moral principles. The last 3 limbs are pure internal and that’s what we need to work and strive for in our practice: to be able to isolate the external noise and to focus or meditate on one single point of concentration. A good way to start is to apply this principle in your daily life: focus on a single task; when out for a meal being present and give your full attention to a person you are with and not to an electronic devise; mindfully do your shopping by focusing only on the stuff you need. If you are interested in the topic – there’s loads of information available online. I do think it is a good piece of information to have for your general knowledge as well. Next two weeks we are talking about Mudras and Intention Setting. We will be going back to the 8 Limbs of Yoga now and then to discuss them in a bit more detail.